Смотрите эту страницу на русском языке, кликните здесь (See this page in Russian version)//. Veja esta página em português, clique aqui (See this page in Portuguese version). Vezi aceasta pagina in limba romana, click aici (See this page in Romanian version). Vea esta página en español, clic aquí (See this page in Spanish version). شاهد هذه الصفحة باللغه العربية, Click اضغط هـنـا (See this page in Arabic version). 2. What do I need to put a bot in my chat ? 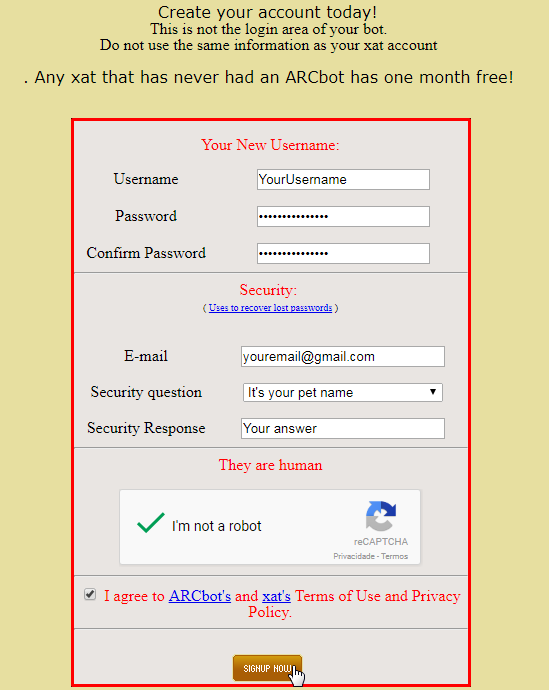 First of all, ARCbot clients must accept the terms of Xat.com. Using a (bot) power is the only way to connect a bot to chat! If your bot is out of control and is abusing, it can have its access blocked! 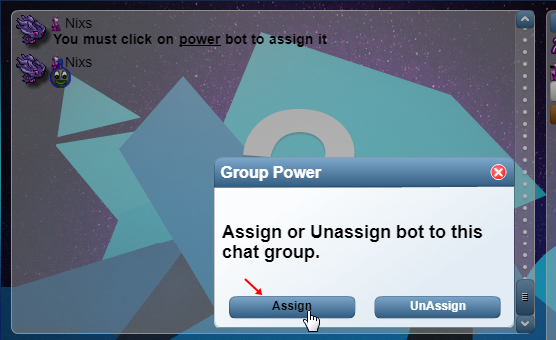 If you have this power you can use a bot in your chat, if there is an attempt to place more than one bot into a chat, it will be considered abuse and your chat will be removed from the xat lists/charts. 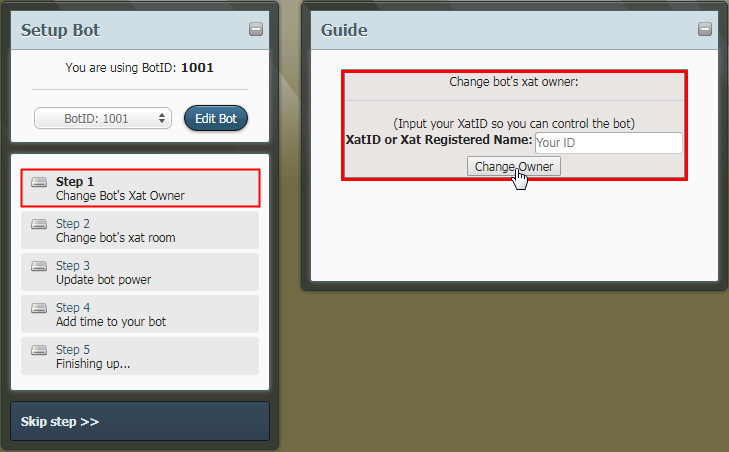 Bots cannot trade powers, transfer xats and days or any other kind of task in xat. Never share your email, passwords, or details with any bot. 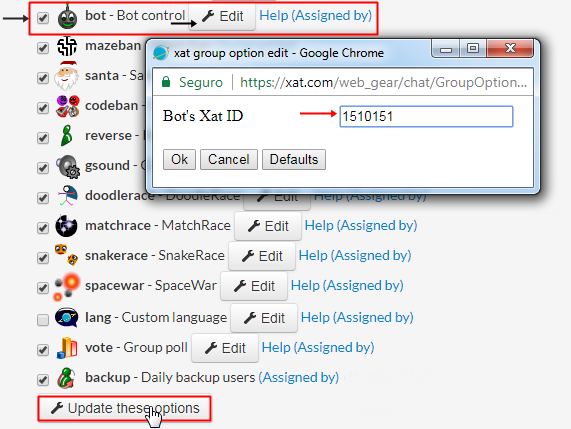 Please note that, although these sites are known for providing bots, this does not mean that xat.com legally supports them, or are managed by xat. The power (bot) - This is absolutely required for any type of bot, paid or free, no matter if this is for trial period or full time. b. After this, still in your chat, go to Edit Your Chat > Extra Features, expect a new tab in your browser open, and then look for the power (bot), and make sure it is marked in the list. Now make sure you put the correct ID and press OK, and save the changes. The bot will Enter the Chat using the Premium account provided by ARCbots. And then click "SIGNUP NOW". d. In the 4th step we must add the time to the bot. The ARCbots gives you 120 hours (5 days) so that you can have a trial of your bot, so that you make sure you want to continue using our services or not. Remember that if you want to continue with the bot services, you will have to pay 250 xats per month, after the free 120 hours (5 days) expire. Then, the field below will be the first field to be configured. When you log into your dashboard for the first time, probably the field "Amount in hours", will be autofilled with the number 120, which shows the amount of hours that your bot has to turn, in which case is 120 hours. 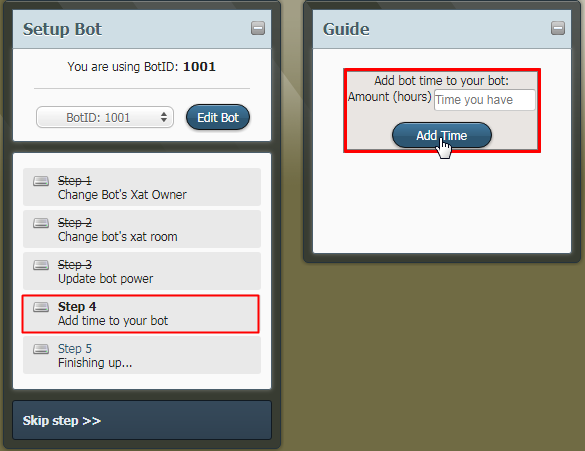 Click "Add Time" to activate the 120 hours of the bot. After the quick guide is finished, you will be redirected to the CPanel Home page, where you can continue the setup of the optional settings. 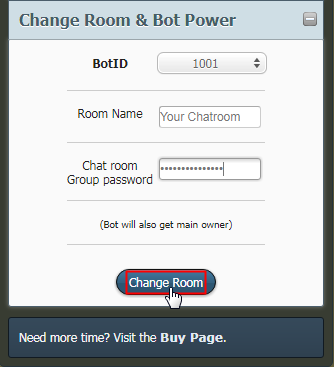 f. In this step you can make the bot main owner on your chat, so that he can comply the commands as a main owner. In the field " Chat room group password" enter the password of your chat (For those who still have questions regarding this field, the password is your chat. The same password that you use to log in to Edit your chat, and not the password for your personal account or the account of the bot.) Note that "main-owner"-ing the bot is only optional, at user's choice. You must make sure you don't have the /p protection activated on your chat, or it's not on live mode. The first thing that a Premium bot requires is to be confirmed in the chat. he will ask for confirmation, and all you have to do is to type "!confirmbot" in the main chat, as owner/main owner, in the first minute since the bot arrived. Only an owner or main owner which is not using $tealth can make this command for the bot. If you have trouble with your bot, visit the frequently asked questions guide by clicking here. More detailed and optional settings of the bot, such as name, color, status, avatar, filters, and other features can be found in the General Bot Settings page. Every client receives a free 5 days trial period, after creating the account. During this time, out bot can be used with its full options and features, having everypower, full commands access, fully editable. After the free trial expires, if you want to continue using our bot in the same way, you will have to pay 250 xats per month, according to our payments guide. 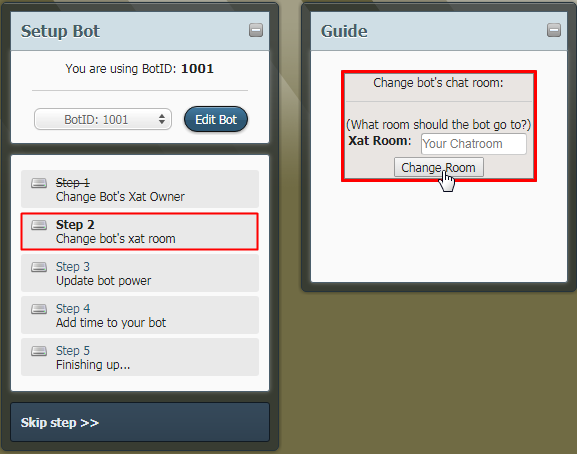 1) Go to our chat box and look for the bot in the room. It has the username ARCbot (1510151) and the name is "ARCbot"
2) Click the Buy Now button. 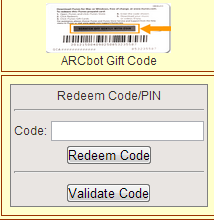 1)Go to ARCbots' buy page and look at the coupon option. 3)This applies only to people with a Coupon Code. NOTICE: ARCbots is not responsible for any mistakes you make when buying time. Please make sure you do it right. Please also ensure your bot works before paying. We strongly recommend you use your 3 day free-trial. Read below how to setup your bot.